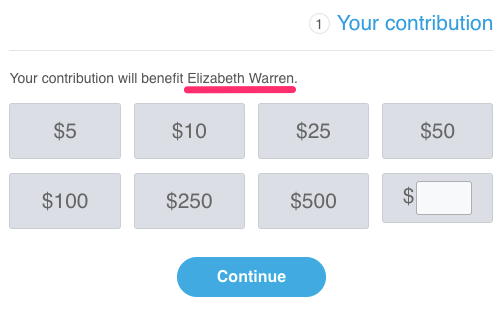 Campaigns and organizations use ActBlue as their online fundraising platform. Your entire donation goes directly to the group(s) you specify on a contribution form, except for a 3.95% credit card processing fee on each contribution that we pass along to the candidate or organization you donated to. 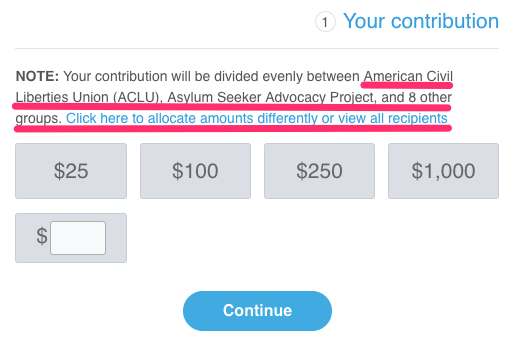 ActBlue is simply the conduit for your contribution, so we securely process your donation and send it to your intended recipient. If you donate to a federal campaign or organization, you can use the FEC’s website to confirm your donation. First, go to the ActBlue committee overview. 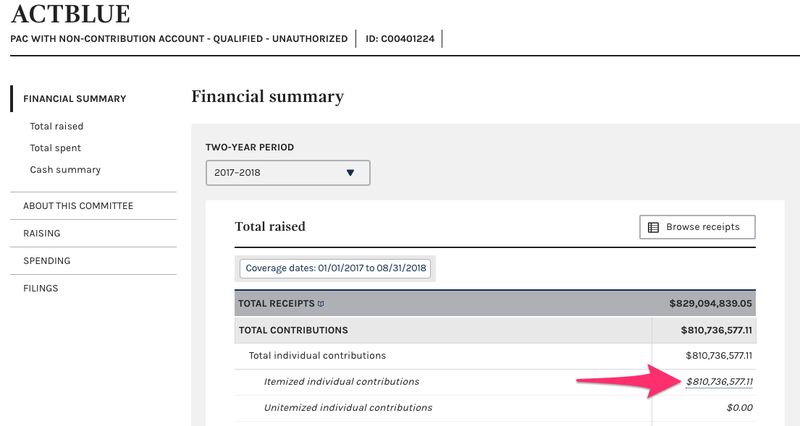 On the “Financial summary” page, click the link for “Itemized individual contributions” (the underlined dollar amount on the right). This will bring you to a page of individual receipts. The “Recipient” column will list ActBlue because of our conduit structure. To find your contributions, use the "Edit filters" menu on the left to search for your name (in the “Contributor Name or ID” field) or other identifying details. 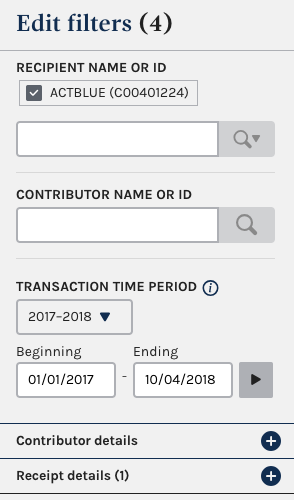 Please note that contributions will only show up once the reporting deadline is passed and the FEC has processed the data.